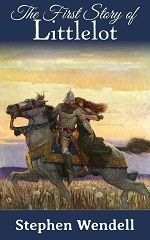 I recited the legend of the Great Horn of the Unicorn and went on to describe the image I had in mind. I knew exactly what I wanted for the book cover. The difficulty lay in putting the image into another mind—one attached to an artist’s hand. The target of this latest attempt was the mind of Cris Hammond, who now pulled a graphite point across rough grain paper. As a kind gesture, he agreed to make a sketch I could show to potential illustrators. Sketchpad on knee, Cris began to draw. He guided the pencil, held between thumb and two fingers, in smooth broad curves and quick strokes. The wrist remained fixed, the elbow supple. The artist directed the work from the shoulder. I listened to the scratching of pencil on paper and resisted the urge to peek. Cris also gave me the name of an artist he thought capable of realizing the illustration. In October, we’ll see the finished drawing by David Jones. Friday, we’ll have a sneak preview of the Prologue (French). 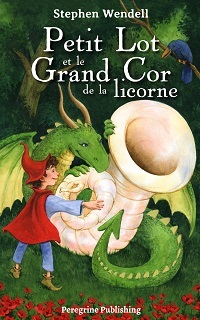 Meanwhile, you can read la légende du Grand Cor de la licorne (French). San Francisco Bay area artist and writer Cris Hammond earned fame as a nationally syndicated cartoonist with “Speed Walker, Private Eye” in the 1980s. After one career in special effects design at Industrial Light and Magic and another as a Silicon Valley entrepreneur, he navigated the rivers and canals in southern France aboard a barge with his wife, Linda, mooring for a few years at the Port de l’Arsenal in Paris. There he painted landscapes of the French countryside and wrote a memoir of the journey, From Here to Paris. 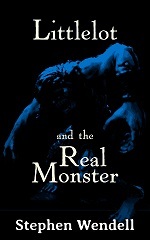 Cris is also the author of Short Pours: The Stan Chronicles, a short fiction collection set on the U.S. west coast. Returned to the homeland last year, Cris and Linda are planning their next adventure from Sausalito, California.